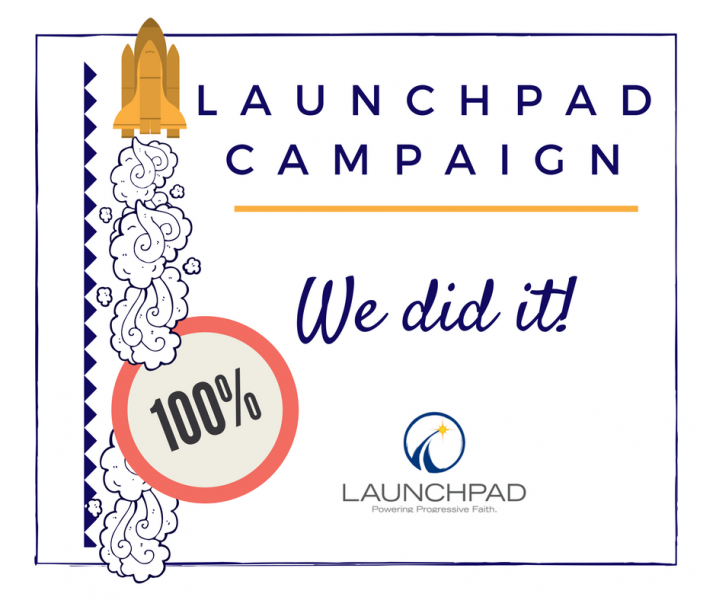 We made the goal… but this Moonshot can still go higher!! We have hit the Moonshot Campaign goal of $15,000 to support the development of three UU communities, two in Tennessee and Abundant Love here in Southwest Atlanta. A big THANK YOU to everyone who has supported us through this campaign. We have three more days to put the icing on the cake!! There’s also a rumor of a bucket and pouring over someone’s head at $16,000…. just saying!